Free shipping to United States when you buy 3 items from helloyoucandles. See item details below for sale terms. 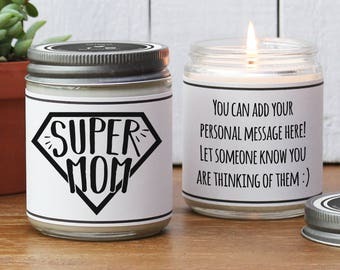 Please include the message for the BACK of your candle here. 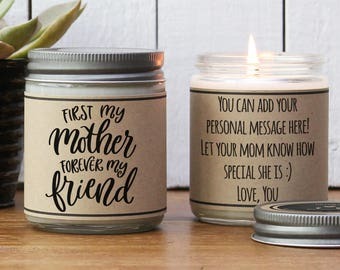 Artwork on the front of this candle does not change. 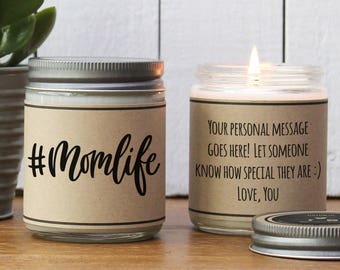 PLEASE NOTE: YOU CAN PERSONALIZE THE BACK OF THE CANDLE HOWEVER YOU WOULD LIKE. PLEASE INCLUDE YOUR PERSONAL MESSAGE IN THE MESSAGE TO SELLER BOX AT CHECKOUT. 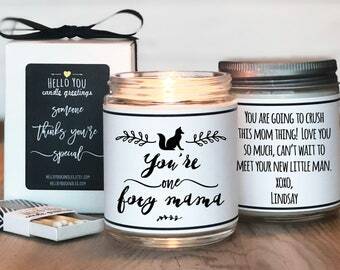 THE ARTWORK ON THE FRONT OF THE CANDLE DOES NOT CHANGE. If you are in search of the perfect gift or just want to let someone know you are thinking of them, you have come to the right place! 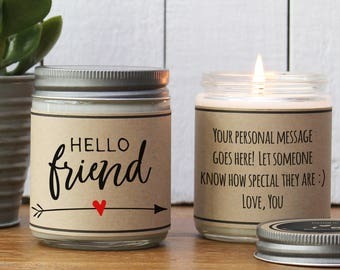 EVERYONE LOVES "Hello You" Candle Greetings. 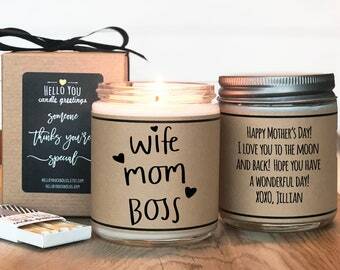 We start by using 9 oz of Eco-friendly, American grown soy wax and combine it with the perfect blend of the finest phthalate free fragrance oils to create a truly unique candle experience. 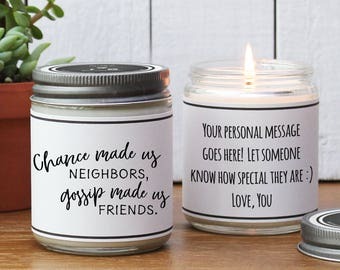 Our candles are hand poured in our studio in Rancho Santa Margarita, CA, wrapped with your personal message and shipped directly to your recipient. Our 9 oz candle measure approximately 3.75 inches tall X 2.75 inches in diameter. 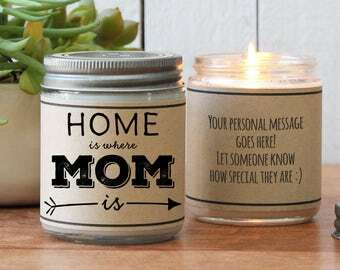 We ship all candles USPS 2-3 day priority mail. Please check our shop announcement for our current lead time. 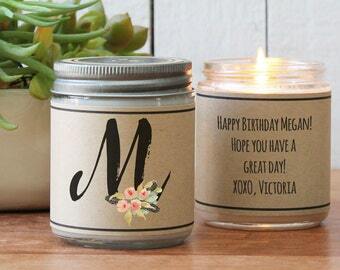 Save big on shipping when ordering 3 or more candles shipped to the same address! 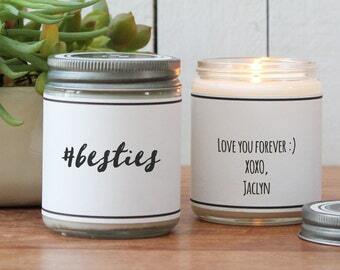 Order 3 candles or more and they ship FREE when going to the same US address! 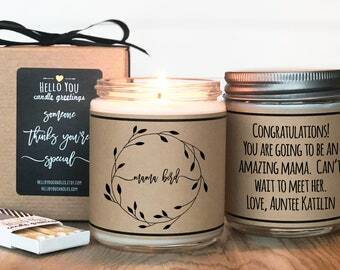 Thank you so much my sister in law loved her candle ! 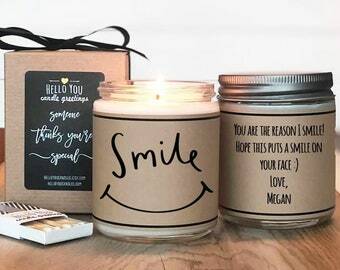 Each order is complete with your personal message to your recipient printed on the candle. Sorry, the label artwork cannot be changed. If you don't see what you are looking for please contact us with your request and we will do our best to come up with something special. 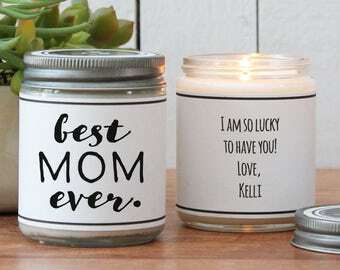 Our candles measure approximately 2.75 inches in diameter and 3.5 inches tall. They are filled with 9 oz of soy wax and have an approximate burn time of 50 hours. Candles should always be stored in a cool dry place. Never burn candles unattended. For best results the first time you burn your candle allow the wax to melt all the way to the edges of the glass. Dip the wick into the wax to extinguish and always trim the wick to 1/4 inch before each use. 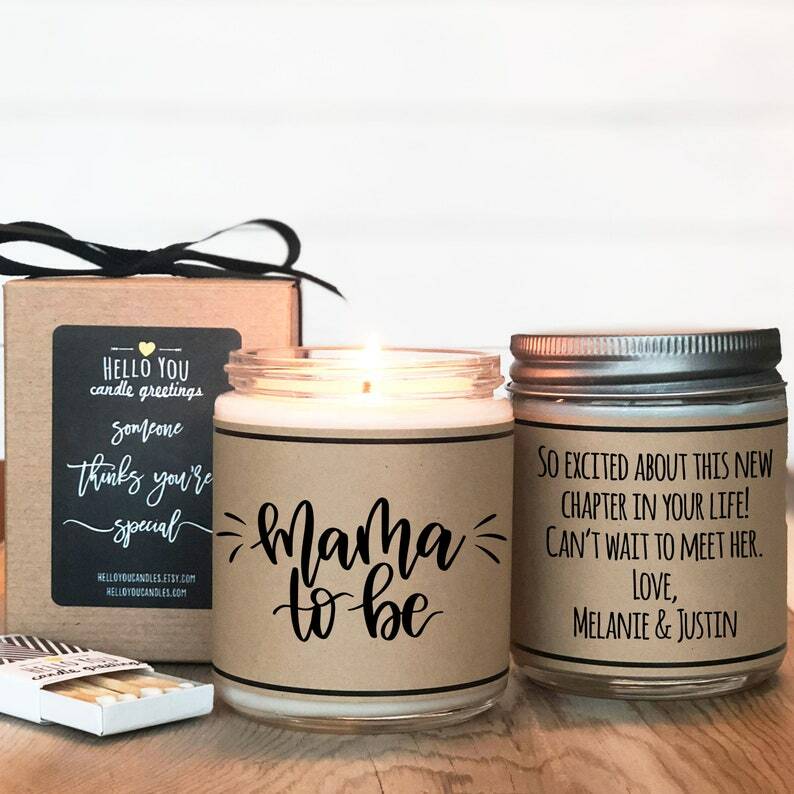 Each candle will be shipped beautifully packaged in our signature gift box. Please see listing images for a picture of our product packaging. We do sell our products wholesale without personalization. Please contact us for details.